At one point in time, fashion was a luxury that only a few could afford and keep up with the changing trends of the world or even set a style for others. However, soon fashion became something that everyone wanted, needed and could have. Today, you don’t have to be very rich to afford good and chic dressing. Many brands and boutiques offer apparel and accessories for all social classes. If people cannot buy the original designs, they can always get a copy of it or something similar. In short, these days, everybody can enjoy the fashion that is en vogue. Fashion Design is a field many people are opting for these days as a career path, to study the course and then professionally practicing it to become a famous fashion designer some day. Around the world, there are millions of shops, department stores and boutiques offering the latest and fashionable outfits of all sorts from sporty and casual to evening and wedding wear. 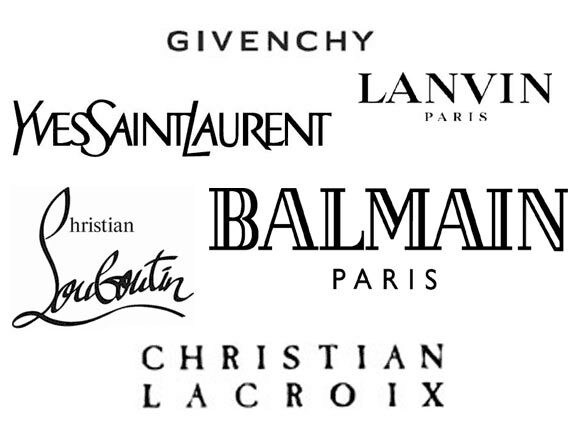 There are brands targeting certain niches as well as, such as punk, rock, hip hop, graffiti style, gothic and so on. Clothes are not simply a necessity that need to be produced – they have become a source of statement, a thing that defines personality and status, and designing clothes has most certainly become an ART! Some designers from all over the world produce clothes and accessories that are impossible to wear in daily life and only suit the models on runway shows. They incorporate elements of fine arts, architecture and even engineering. Their fashion pieces are sculptures that can be best used for decoration. With such a work, famous fashion designers do not aim to earn, they only display their capabilities in design and innovation . Apart from this, there are some designers who produce clothes for people who have a heavy and broad body structure. Previously and still today in many parts of the world, fashionable clothes are usually produced for slim and skinny people. However there are a few fashion designers who design without any discrimination of size – they produce beautiful and attractive apparel for people who are otherwise extremely worried of where would they find a up-to-the-minute dress that could suit their curves. When talking about fashion designing, it would be highly unfair if the famous fashion designers are not mentioned. The ones who gave birth to the whole concept of fashion, the pioneers! Those who set a foundation for contemporary designers, who set the rules of tailoring and stitching – the ones who discovered FASHION! They set the margins of quality and design very high, so much so that it needs perfection to produce such work. The world of fashion has tremendous potential and continuously everyday around the world designers are producing fashion and customers are buying. Each minute ideas are flown, money is transacted to possess the fashionable powers that come from buying exceptional clothes made from extraordinary materials and embellishments. Fashion is what people survive on, it is a need for living and a crucial aspect of lifestyle. For some people fashion is a mode of expression, it is what defines them. There are also those who are obsessed with fashion, they are shopaholic and want the latest that is in stores.